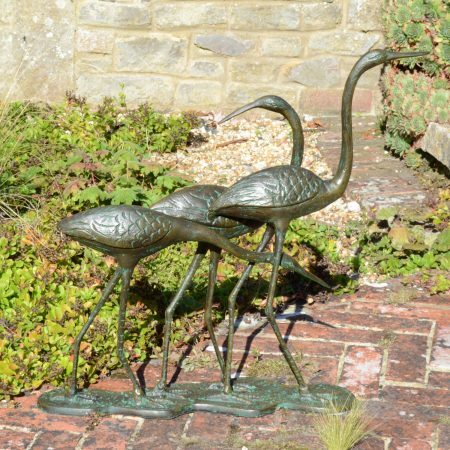 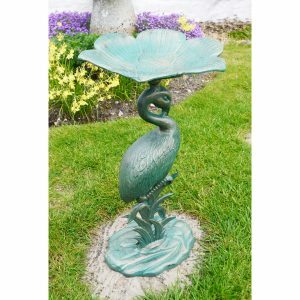 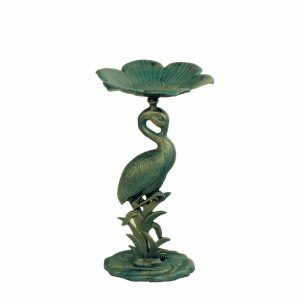 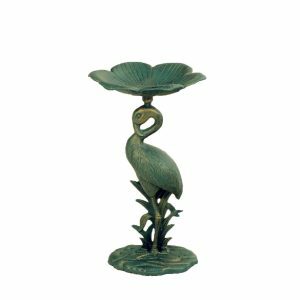 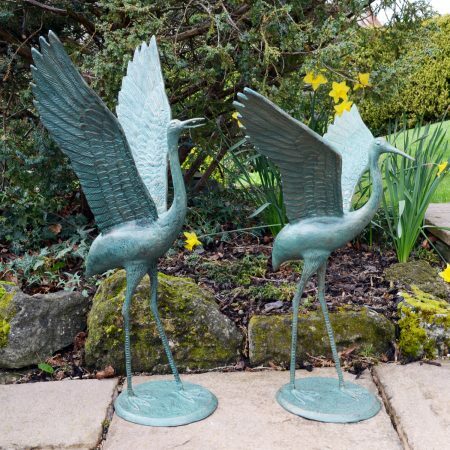 The Flamingo Bird Bath is cast in aluminium and finished in a verdigris green colour. This is a more compact bird bath than some of our other and the bowl is approximately 25cm across. 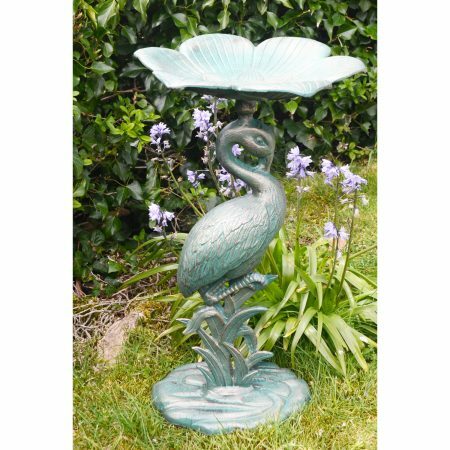 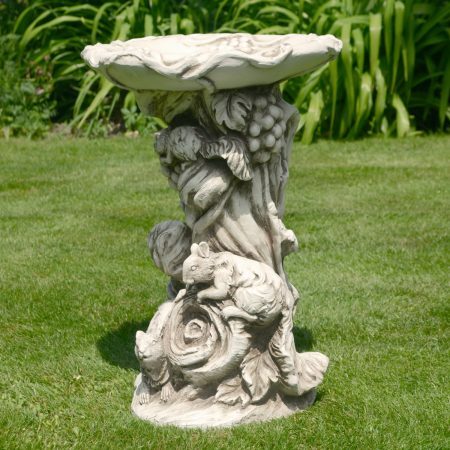 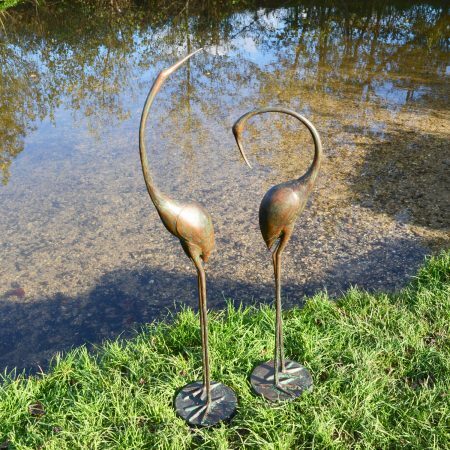 The unusual but lovely Flamingo bird bath will add interest to your garden and be greatly welcomed by your feathered friends. 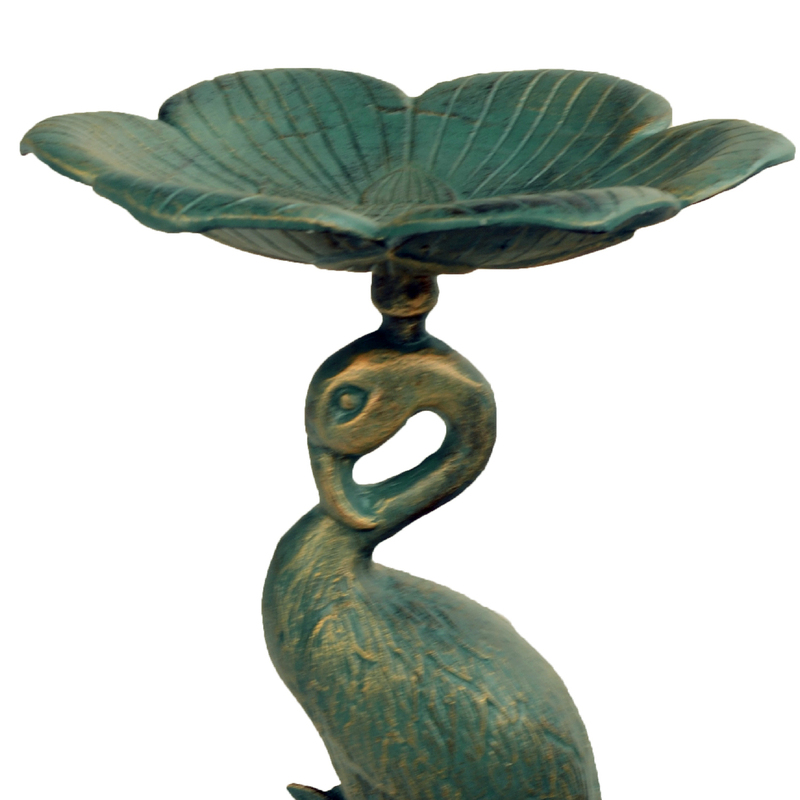 Standing at 46cms. high, it is cast from aluminium, and finished in a pleasing Verdigris green, with a hint of bronze.